As a founding director of McIntyre & Associates, Jim focuses his energy on taxation and tax planning and specializes in wealth preservation and estate planning. Jim works on the leading edge of new trends, policies and procedures and shares his extensive knowledge of tax law through regular seminars and speaking engagements. His expertise also encompasses trusts, wills, corporate reorganizations and the provision of financial and business management advisory services to both owner-managed businesses and professionals. Jim began his career as an accountant in 1977. He holds a Bachelor of Commerce degree from Concordia University and received his Chartered Accountant designation in 1979. In 2000, Jim became a registered trust and estate planner. 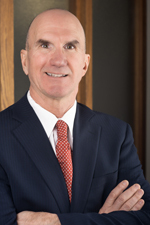 Jim is a member of the Canadian Tax Foundation, a member of the Society of Trust and Estate Practitioners and a Director of the Ottawa Estate Planning Council. He has also been actively involved with several political leadership campaigns. Jim is an avid reader and enjoys recreational and athletic pursuits with his family.